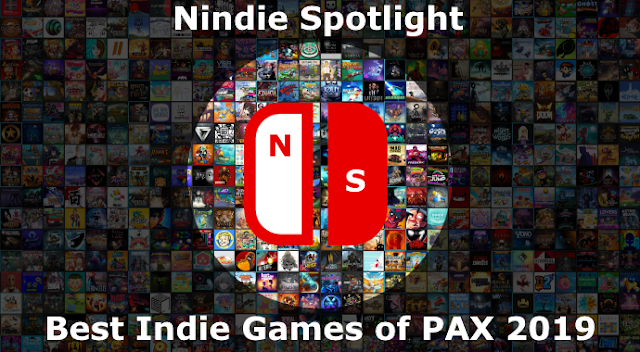 When I was a bit down on the Wii U and searching for games that would hold my interest I explored the Android space for a time, playing games on my nVidia Shield tablet. 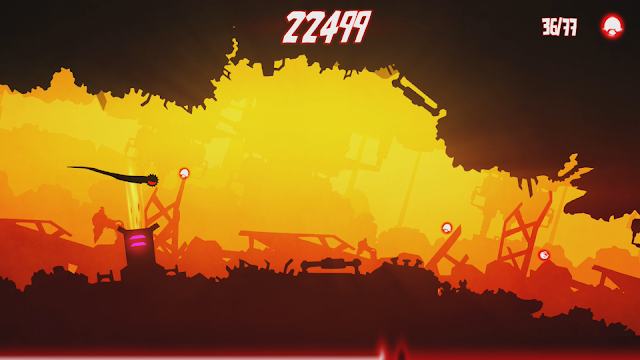 While a ton of titles in this space were a real disappointment, failing to make much of an impression for someone who has played a ton of games, there was one particular title that left a last impression on me called Badland. Sporting a single-button gameplay style, terrific art, and full of challenges and surprises, it’s still a game I remember fondly. 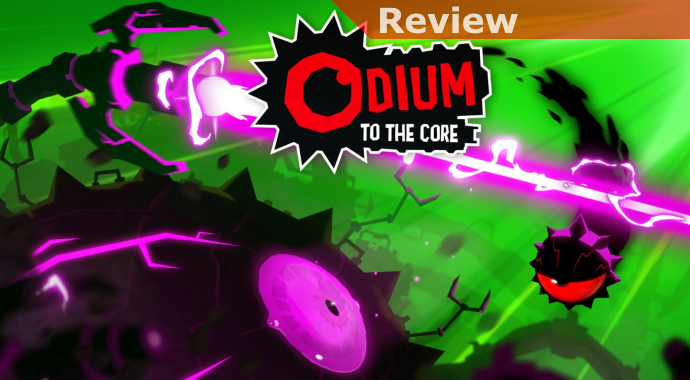 Odium to the Core has many elements in common with that title so I was excited to check it out, but while it stands alone and is certainly challenging it’s not quite as diverse or charming, so while it’s pretty unique on Switch it’s not without its issues. In the game you’ll control Odium, a small ball-like entity who you’re only able to control to a degree. Pressing the screen or button will alter your path to rise, if you let go you’ll slowly begin to fall. Your goal is really just to survive, avoiding hitting anything on the sides or things that will try to get in your way or push you around. Very quickly you’ll learn that a steady tap of sorts will keep you mostly going straight and the game will try to caution you to avoid doing this as it won’t let you score as high. Perhaps that would be relevant once you beat the game and want to maximize your score, but pretty early on merely surviving will need to be your priority as dying happens quickly and frequently and checkpoints, for the most part, are pretty scarce. While I love the art style and the music that accompanies the levels I actually think the attempt to tie the action to the music to be one of its weaknesses at times. As the tempo can fluctuate in places so will your speed and in some spots this can be a bit annoying as it takes away consistency to your controls, sometimes in critical spots. While there are orbs to collect and even some hidden areas peppered about I don’t think the incentive to try to get everything is terribly strong and most people will just be happy to complete the levels at all. Maneuvering or compromising your run by flying too close to the sun to grab everything makes the game a bit of a consistent bummer and as far as I can tell there’s only marginal motivation to punish yourself to go that extra mile. This is absolutely a title for people who enjoy some pretty extreme challenges and can deal with the frustrations that come along for the ride. 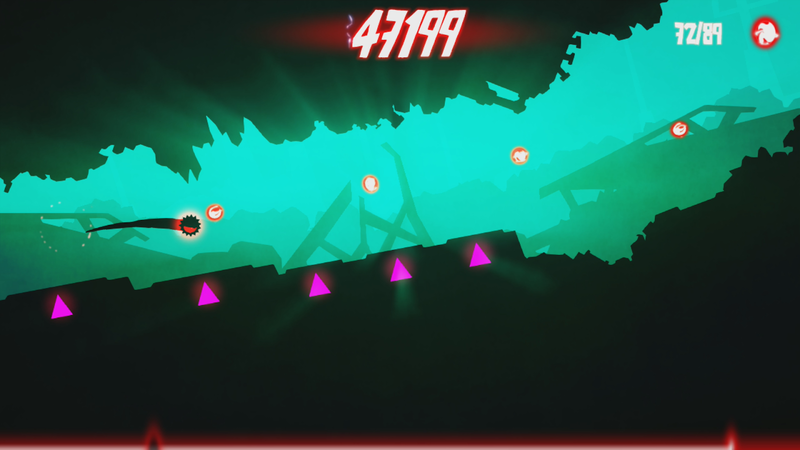 It’s not terribly expensive, has a fantastic look, and sports a pretty killer soundtrack. Just to go with its control simplicity is a fair amount of aggravation so it isn’t something I could recommend to just anyone without providing a fair amount of warning.